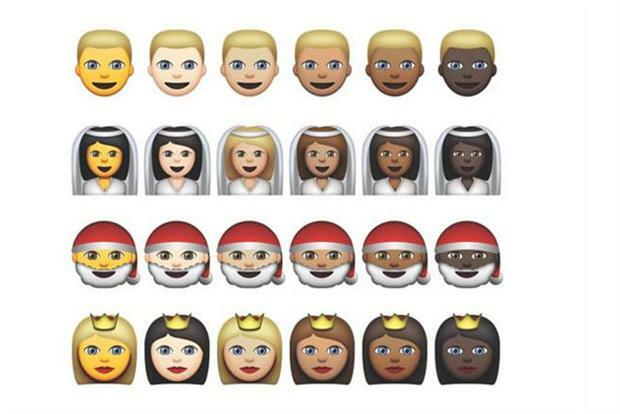 Apple emoji: beta OS X introduces new skin tones. Apple has diversified the skin tones of its emoji characters on the latest beta version of its OS X operating system, with a range of five skin colors. The pre-release update to Apple's operating system was sent to developers and includes an updated emoji keyboard featuring skin-tone variations based on the Fitzpatrick scale, which is a skin-color classification system recognised by dermatologists. The racial variations now come in a default yellow, with users able to select other skin tones — from white to dark brown. Apple’s move follows pressure from bodies including the Unicode Consortium, which campaigns for software standardization and which last year drew up a plan proposing five skin-tone colors for emoji.